Now that 2016 is coming to a close, it’s time for business owners to turn their attention to the year ahead. And there are plenty of great business events that could help entrepreneurs and professionals make necessary changes going forward. 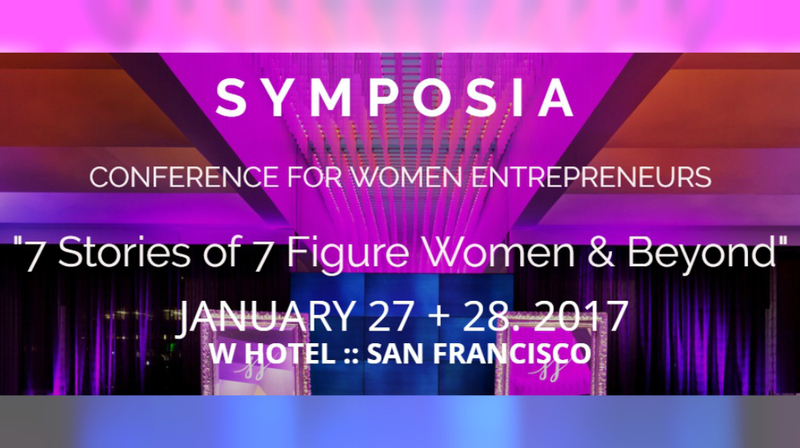 In January, for instance, the SYMPOSIA Conference is a two-day event for women entrepreneurs. You can gain inspiration and lessons from successful women across different fields. And in the Spring, EntreLeadership 1-Day and Secret Knock also offer their own benefits to entrepreneurs across a variety of industries. You can learn more about each of those events in the Featured Events section. And then check out even more events to add to your 2017 calendar in the list below. Grow yourself, your team & your profits! At EntreLeadership 1-Day, you will learn the six essentials of business: leadership, people, money, time, team, and higher calling. Dave Ramsey will be joined by business experts Chris Hogan & Christy Wright. January 5, 2017, San Francisco, Calif.
January 5, 2017, New York, N.Y.
January 5, 2017, Boston, Mass. January 10, 2017, New York, N.Y.
January 12, 2017, Elmsford , N.Y.
January 17, 2017, New York, N.Y.
January 24, 2017, New York, N.Y.
January 26, 2017, Boston, Mass. January 26, 2017, New York, N.Y.
January 30, 2017, Miami, Fla.
January 31, 2017, New York, N.Y.
January 31, 2017, Seattle, Wash.
February 15, 2017, New York, N.Y.
February 15, 2017, Culver City, Calif.
March 3, 2017, Atlanta , Ga. 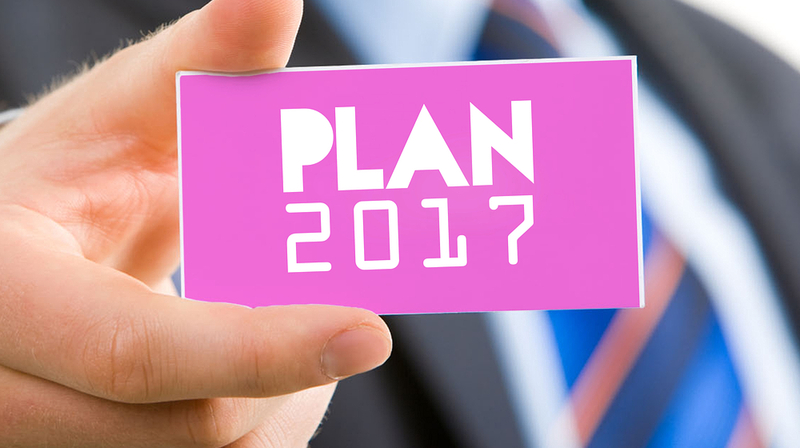 If you plan to run a business in 2017, you need an online marketing strategy. And if you plan to up your online marketing game in the new year, you might be able to benefit from some advice from members of our small business community. Here are some of their top tips for upping your online marketing game in 2017. When creating content for the new year, you need to make sure you have strong headlines. Those headlines can draw people’s attention and help you ultimately gain more customers. Here, Hassan Ud-deen shares tips on creating headlines that convert on the Hardenbrook blog. If you sell products online, then garnering trust between your business and potential customers is a must. If you’re looking for your store to gain some traction, take a look at this post on Getentrepreneurial.com by Megha Parikh. Affiliate offers can be a great way to increase the income for your business. And Facebook can be a great platform to promote those offers. In this post on the No Passive Income blog, Erik Emanuelli points out a few methods you can use to promote affiliate offers on Facebook. And BizSugar members comment on the post too. When marketing to business customers, your strategies might vary from businesses that market to consumers. But there’s one simple strategy that you can use to increase your sales, as outlined in this post by Stefan Schulz on the Orpical Group blog. Technology can help you innovate and come up with new offerings. But it can also help you market and maximize results for those products. This Techlofy post by Nitesh Mishra includes some tips for using technology to make the most of your products. While content marketing can be a great strategy for all different types of businesses, some go about it the wrong way. In this Content Marketing Institute post, Marcia Riefer Johnston explains why you should stop trying to innovate with your content. And the BizSugar community also shares thoughts on the post. If you want to use blogging to market your business in 2017, then you need to become an expert blogger. And one of the best ways to improve your writing is to read more. This Process Street post by Ben Mulholland explains how you can accomplish that in just 30 days. Blogging is a great way to increase engagement between your business and customers. But if you can’t start conversations, then it isn’t likely to do your business much good. In this post, Ann Smarty of MyBlogU shares some tips for generating more blog comments. Webinars can be another great resource for small businesses looking to gain traction online. And there are plenty of resources you can use to up your webinar game, like the ones listed in this Resonance Content Marketing post and podcast by Rachel Parker. You can also see commentary on the post over on BizSugar. Repeat visitors are necessary for any business hoping to be successful online. And you can ensure some of that repeat business through the tips in a post about SEO by Neil Patel. Parts of the Trakia motorway area that had been sealed off for almost 24 hours were reopened on Saturday afternoon, the Road Infrastructure Agency has said. Traffic was restored in direction from Zimnitsa transportation hub to the Black Sea city of Burgas, but with snow plows moving in front of the vehicles and with the presence of police vehicles along the motorway. The closure of Zimnitsa had blocked the way for those trying to reach Burgas from Sofia or from some venues in southern Bulgaria. Authorities also reopened the section previously closed at Karnobat traffic hub en route to Sofia. Earlier, the road between Karnobat and Aytos, used as a bypass route alternative to Trakia motorway but closed after the chain crash on Trakia, was briefly relaunched. Since Friday evening, hundreds of passengers and drivers have experienced difficulties reaching Burgas and other parts of the Black Sea via Trakia or the bypass route, with chain crashes along Trakia and a blockade caused by a stranded TIR truck on the bypass road. A new offering from virtual reality company Oculus, now owned by Facebook, could have interesting implications for small businesses. Oculus Rooms and Parties are new features for Gear VR users. They’ll also be available on Oculus Rift devices in 2017. Parties are essentially group voice calls that take place in virtual reality. You can add up to three friends to a party and chat over VR. And Oculus Rooms are private virtual spaces that you and your friends can spend time in. These rooms can mimic places where you might spend time in the real world. So if you want to watch TV with friends who live far away, you can start a Party with those friends and then select a room and watch videos together or even play games. For now, the features are being marketed mainly to consumers. 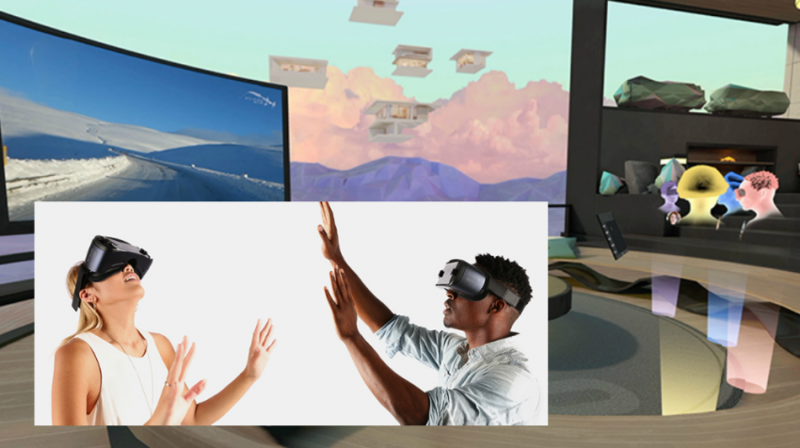 But for businesses with very small teams, these new features could potentially open the door for VR meetings. Of course, that would mean your whole team would need to be outfitted with Gear VR or Oculus Rift devices. But if you have a small team of remote workers, Parties and Rooms offer an interesting possibility for your team to communicate in a whole new way. There are already plenty of options for holding remote meetings, from video chat platforms to actual conferencing programs. But not all of those other communication tools let you actually feel like you’re in the same room as people. So depending on the content of your meetings, virtual reality could potentially be a unique opportunity to update your team communication strategy. And as the technology evolves, VR companies are likely to come out with more features and tools, maybe even some specifically aimed at helping businesses host meetings in VR. Romanian police discovered 48 Iraqi migrants in a truck at the border with Bulgaria, AP reports. The truck driver was Bulgarian and showed police documents to claim he was driving a load of chocolate to Hungary and did not now migrants were inside. Hungary was also the destination reported by the migrants, 22 men, 9 women and 17 minors. They were found by border police in Giurgiu after a check showed high concentration of carbon dioxide inside the truck. The Council on Electronic Media (CEM) of Bulgaria has expressed concern with the news that no contemporary music will be airead by the BNR, the country’s the public radio broadcaster. The audience’s rights will be infringed by the move, which follows the unilateral suspension of a contract between the radio and one of the biggest composers’ and labels’ unions, Musicautor, according to the CEM. Aleksandar Velev, the broadcasrer’s head, said on Friday Musicautor had demanded a steep increase in royalties which the radio, however, cannot afford. While CEM cannot interfere in relations between the broadcaster and copyright unions, it notes the public radio’s position as “an important cultural institution with a huge and long-time contribution” to the creation, recording, preservation and distribution of music of all genres. There is “public interest” in diverse music being present in the BNR programs, the CEM has noted. Part of the Trakia motorway area that had been sealed off for almost 24 hours was reopened on Saturday afternoon, the Road Infrastructure Agency has said. The section concerned is at Karnobat traffic hub, en route to Sofia, with traffic yet to be restored toward the Black Sea city of Burgas. Earlier, the road between Karnobat and Aytos, used as a bypass route alternative to Trakia motorway but closed after the chain crash on Trakia, was also relaunched. Authorities will work hard to reopen Trakia en route to Burgas, Focus News Agency quotes outgoing Regional Development Minister Lilyana Pavlova as saying. The road linking the towns of Aytos and Karnobat in Southern Bulgaria was briefly reopened to traffic and then closed. The blockade was lifted for nearly an hours to enable part of the james vehicles to move through. All vehicles stranded along the road, which was the busiest route between Karnobat and the Black Sea city of Burgas before the launching of Trakia motorway, were pulled out by specialized equipment. Movement from Aytos and Burgas remains difficult as I-6 road, between Petolachkata hub and Burgas, is still sealed off by police, the Road Infrastructure Agency says. Trakia motorway itself remains closed to traffic in the section between Zimnitsa transportation hub and Burgas, after chain crashes paralyzed traffic on Friday afternon. Bypass routes are available via Yambol and Sredets (II-53), as well as II-79 – Elhovo, Sredets – Burgas. More information is available via LIMA, the agency’s free-of-charge mobile application, or by phone (0700 130 20). Despite all of the “buzz” around innovation, it still remains an elusive quality that only a few companies (like Apple, Facebook and Google) have. For everybody else, the advice is some version of “do whatever Facebook or Google does”. While this might be helpful for some business owners, this advice isn’t a reliable path toward success. Your business can’t innovate like Facebook. It has to innovate like your business. That’s where Bigger Business Blueprint: Modern Marketing, Innovation & Scalable Growth comes in. The book seeks to fill in the gap between innovation as a concept and as a practice. What is Bigger Business Blueprint About? Bigger Business Blueprint: Modern Marketing, Innovation & Scalable Growth was written for the express purpose of outlining a path toward strategic innovation. Innovation, as the book discusses, comes in two basic flavors, strategic or accidental. You either plan for it or you get lucky. The issue is that most business owners chase strategic innovation while pursuing the opposite (innovation-by-luck). Both strategic innovation and innovation-by-luck look the same from an outsider’s perspective. From an insider’s perspective, it’s two totally different mindsets. As the author of Bigger Business Blueprint shares, business owners with a strategic innovation mindset are able to leverage their resources for maximum output. They don’t waste time trying to find innovation like a needle in the proverbial haystack. Instead, they build a strong business first and integrate innovation into the process. These traits separate businesses that chase the next trend from those that anticipate and leverage the future. To get to that point, business owners need to take a comprehensive and broad look at their business framework, something the book outlines in various sections. As readers go through these sections, they can start connecting the dots between their large-scale thinking plans and their day-to-day strategies. Author Jason Palliser began in the loan and real estate industry. Palliser leveraged the skills gained from those industries to become a speaker, trainer, consultant and entrepreneur who loves sports and the occasional good prank. What Was Best About Bigger Business Blueprint? The best part of Bigger Business Blueprint is the book’s focus on going deeper into innovation as a process. Many books on innovation focus on it as some magical principle that can be translated from an innovative company (like Google) to another company. The author recognizes that innovation doesn’t work like that in reality. Palliser invites readers to look at their current processes and succession plans before they start innovation plans. This is a key step missing in innovation books for business owners and entrepreneurs. Bigger Business Blueprint helps readers understand the gap between their current business setup and their future innovation potential. It doesn’t, however, avoid the “checklist syndrome” the author warned against in the beginning of the book. The “checklist syndrome” occurs when an author overwhelms the reader with too many options to get started. The author attempts to rectify the problem with a detailed outline in the book, but more information needs to be provided on turning this outline into a sustainable process for innovation. Why Read Bigger Business Blueprint? 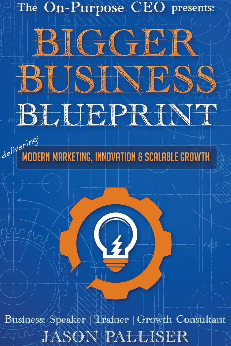 Bigger Business Blueprint urges readers to think about innovation from the ground-level. If you, as a business leader or manager, are tired of reading about the magical innovation of Google without a road map, this book provides it along with the major road stops along the way. Many of these road stops may be familiar, but Palliser shows how these road stops connect to the broader goal of innovation. The author then goes on to show how business succession can be incorporated into innovation as well, a topic often missing from other innovation books. The road linking the towns of Aytos and Karnobat in Southern Bulgaria has been reopened to traffic, authorities say. All vehicles stranded along the road, which was the busiest route between Karnobat and the Black Sea city of Burgas before the launching of Trakia motorway, have been pulled out by specialized equipment. However, movement from Aytos and Burgas remains difficult as I-6 road, between Petolachkata hub and Burgas, is still sealed off by police, the Road Infrastructure Agency says. You are currently browsing the Business, finances, forex blog archives for December, 2016.